When I was just a young boy only women and sailors had piercings, and it was sufficient to have just one ring per ear. However, as the decades have passed, so the desire for more piercings in more unusual places has increased. Popular culture has lead today's trendsetters to bejewel previously unconsidered areas of their body in order to be unique. Just g**gle "extreme piercing" and you will find pictures of many similarly unique people. 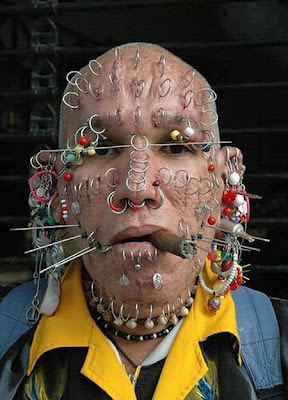 Eventually, the average human is going to run out of new and interesting body parts to pierce, so obviously the natural progression is to move on to piercing other things. 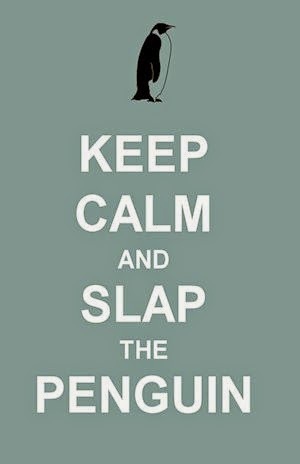 Like pets. 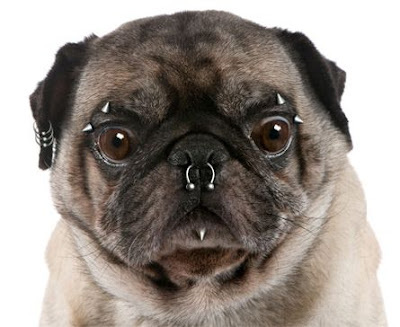 The ASPCA has noticed an alarming increase in reports of suspected animal cruelty as more piercing addicts are decorating their dogs and customizing their cats. "Our number one concern is the welfare of the animal," said ASPCA spokesman, Shaun Scott, "Although the animals may look unique and even cute to some, this jewelery interferes with their everyday activites, and is most definately unhygienic and probably uncomfortable for them. We will fight this ridiculous and cruel fad to it's conclusion." Autumn Rain, a prolific self piercer and pet piercing pioneer told us, "The animals don't suffer any more pain or discomfort than a human would, and as a pet lover I would never harm my kitty. I take as much care of her piercings as I do with my own and have not had a single problem with any of them. 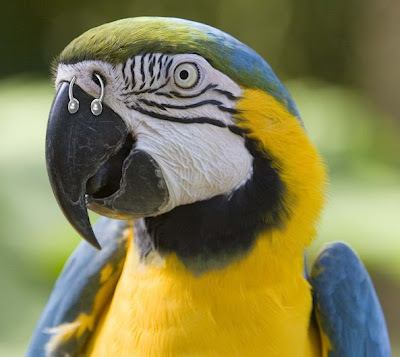 Our pets are beautiful people and I believe that the piercings enhance their beauty and individuality"
A pirate parrot? Pierces of Eight? We wondered how to get an objective opinion about the growing fashion of pet piercing and during our research we discovered a pierced parrot called Charlie. "I like it, I like it" Charlie squawked to us, amongst other things, such as "I'm a pretty boy", "Where's the fu©king crackers?" and "I'm pining for the fjords." 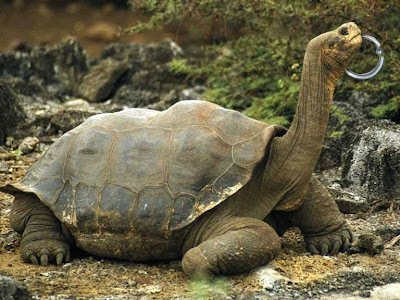 On a much larger scale we have found evidence of an exteme pet piercing inflicted on a giant Galapagos tortoise who is known to the locals as Prince Albert. I bet he wishes he had moved faster. 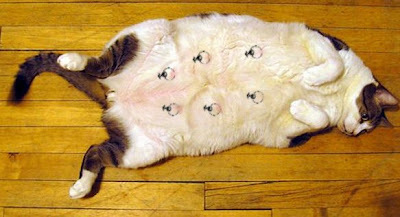 Do you think it is cruel or cute to pierce your pets? Share your thoughts below by leaving a comment.